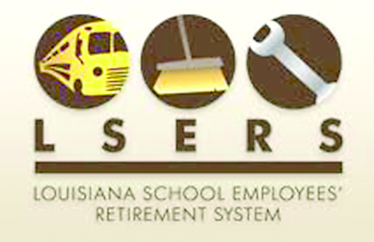 A vibrant stock market has been good news for the Louisiana School Employees’ Retirement System (Statewide) since the system experienced gains from investments. The system achieved an annual return of over 14 percent according to a report released by the La. Legislative Auditor Monday. The system provides retirement benefits for eligible school bus drivers, school janitors, school custodians, school maintenance employees, school bus aides or other regular school employees who work on a school bus. •The total pension liability for the system was $2,562,633,003 as of June 30, 2017. •In fiscal year 2017, the system member contributions increased by $394,439, or 1.8 percent, while employer contributions decreased by $6,271,226, or 7.2 percent. •The System experienced net investment gains of $239,412,332 at June 30, 2017; this is a 2,397 percent increase from net investment losses of $10,422,226 at June 30, 2016. •This increase in investment gains is attributed to an increase in emerging fixed income, emerging market equities and robust stock market. •In fiscal year 2017, the system achieved an annual return of 14.37 percent, as compared to -0.19 percent for fiscal year 2016. The largest and most notable portion of the increase came from domestic, international and emerging markets equities. •Employer contributions decreased by $6,271,226, or 7.2 percent, resulting from a decrease of the employer contribution rate by 2.9 percent and an increase in the aggregate number of retires. The retiree replacements are generally hired at a lower salary rate. The employer contribution rate, established by the system’s actuary and approved by the Public Retirement System Actuarial Committee, is projected a year in advance. •Deductions from fiduciary net position include mainly retirement, death and survivor benefits, refunds of contributions and administrative expenses. •For the year ended June 30, 2017, deductions from fiduciary net position totaled $188,076,063. The deductions increased 3 percent due to an increase in the aggregate number of retirees and the corresponding increase in pension benefits payable. •A cost-of-living adjustment (COLA) of 1.9 percent to eligible retirees and beneficiaries was effective July 1, 2016, resulting from Act 512 of the 2016 Regular Legislative Session. •The cost of administering System benefits per member during 2017 and 2016 was $129 and $154, respectively.